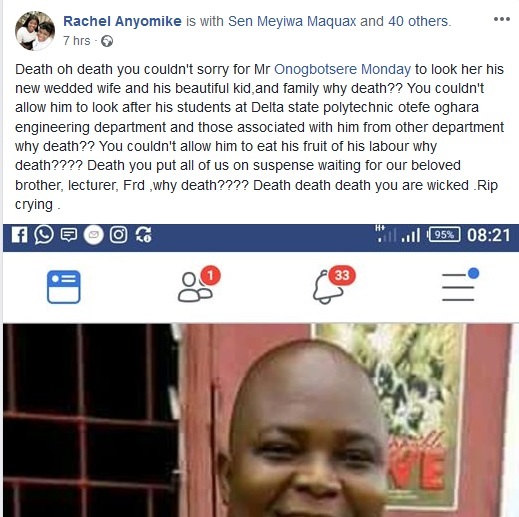 A popular Polytechnic lecturer in Delta state has reportedly passed away in an unfortunate circumstance leaving his family, friends and students in a state of sorrow. 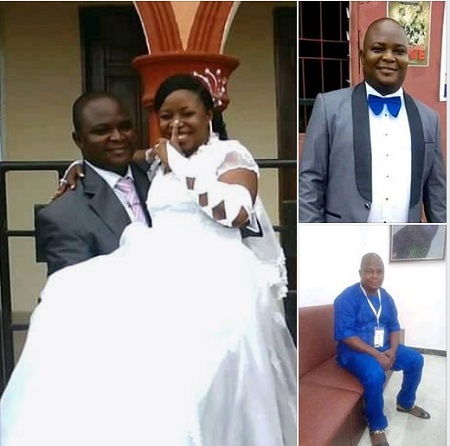 According to journalist Sapele Olofofo, the lecturer identified as Engineer Onogbotsere Monday who got married late last year died suddenly yesterday night following what was described to be a spiritual attack. 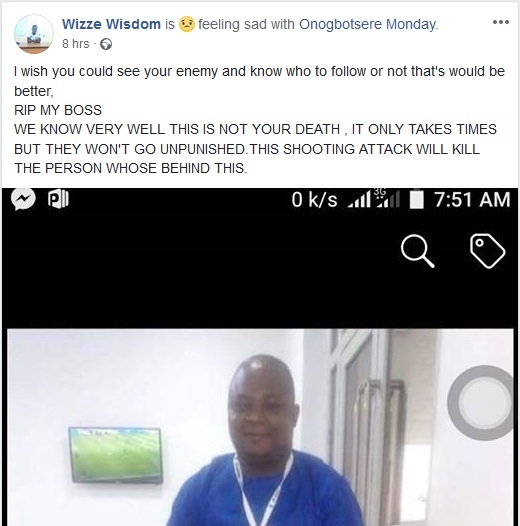 Until his death, Mr. Onogbotsere taught as a lecturer in the Department of Engineering at the prestigious Delta State Polytechnic Otefe, Oghara, Delta State. He is reportedly survived by his wife and a child. Facebook user Kerry Bethuel wrote: "RIP Engr Onogbotsere Monday still can not believe my Lecturer who encourages me always , a vibrant engineer with with sound impacting skills, is gone! life life life."